Please note: You must have at least one Client Account before you copy a Databoard to another account. Navigate to Databoards within your account. Scroll over the Databoard you want to duplicate into a client's account. Click the icon with an arrow on top of a box. 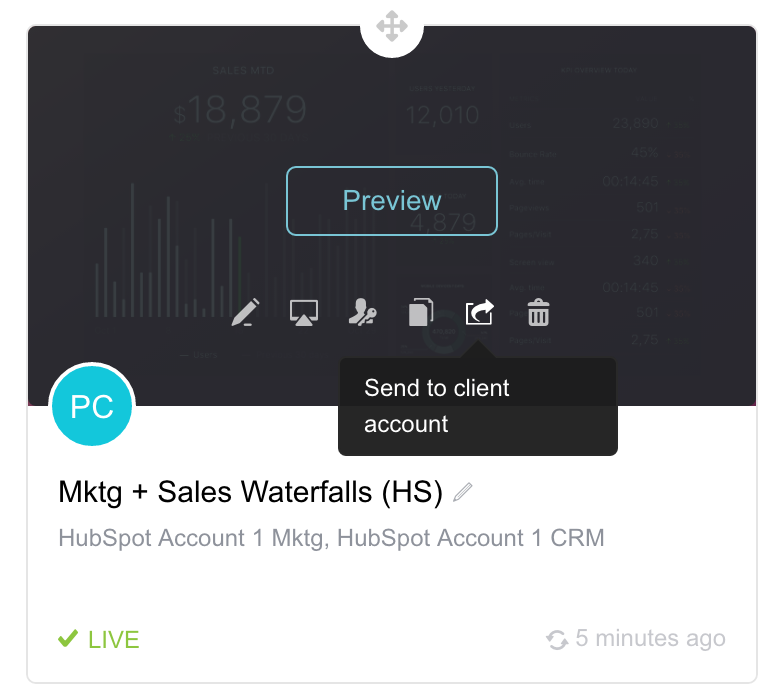 The scroll over text says Send to client account. Choose from the drop down list of your clients who you would like to send it to. Find the databoard you've sent. Click "accept" databoard. It will then ask you to connect their datasource to the databoard. If you've already connected their data sources within their account, you will see the accounts in a drop down. Once all necessary accounts are connected and selected, the databoard will input your client’s unique metrics and the duplication process is complete. 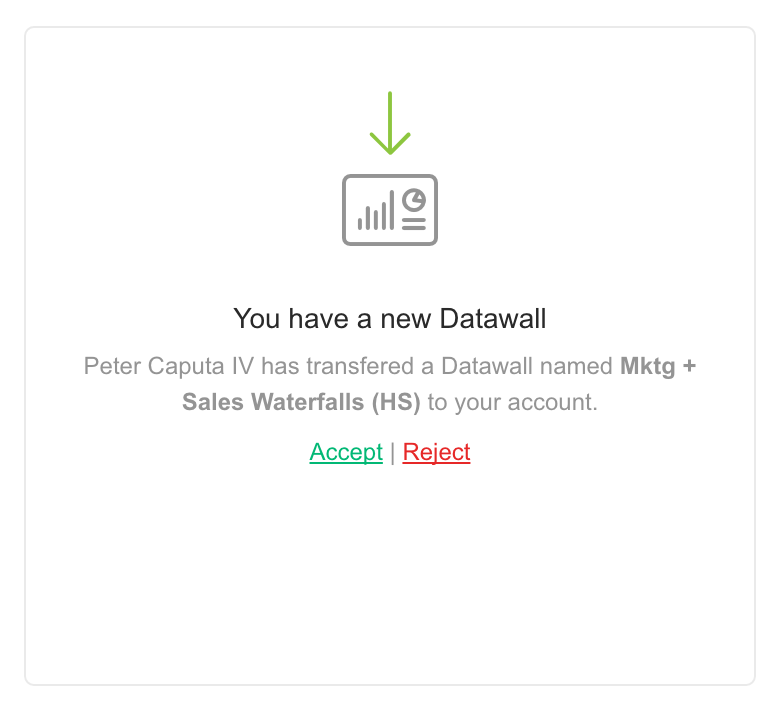 Goals that have been set up on a Databoard under your Agency Account will not be sent along with the Databoard to Client Accounts.